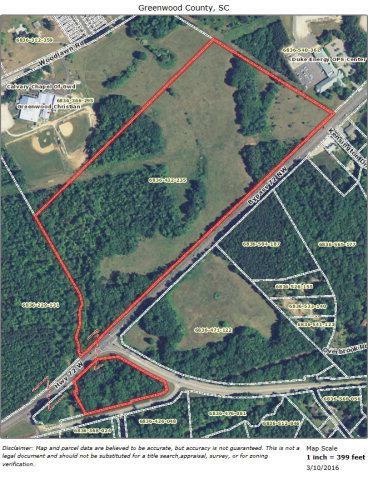 Large Commercial Development site with all utilities available. This is best undeveloped parcel of this size available in the Greenwood market. This west side location is adjacent to the retail commercial corridor of the 72 ByPass & just west of major retailers: Wal-Mart, Publix, Kohls, Lowes & many others.